Building our future on the strength of our past. 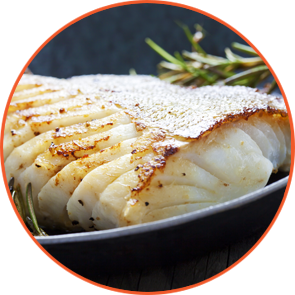 Southstream Seafoods, founded in 1989, has earned a global reputation as a leading frozen seafood importer with a reliable supply of raw materials from both the North Atlantic and Pacific oceans. Our distinct advantage is our established relationships with the largest and most reputable suppliers throughout the world, allowing us to ensure that your programs will never be subject to seasonal shortages. Our customers’ loyalty and success with our products and services come from our customized production for their menus, processing lines and retail cases. We honor quantity and price programs for extended periods of time, enabling our distribution business to deliver quality goods consistently to our customers. Our long-standing relationships with major catcher processors in the world mean customers are never subject to seasonal shortages. Our production capabilities streamline portion control for menus, processing lines and retail cases. Our technological efficiencies assure us we have one of the highest order accuracy rates in the industry. Our convenient locations make delivery of smaller quantities possible for a competitive price. Boston, Chicago, Los Angeles, Miami, New Jersey, and Seattle. Warwick, Rhode Island, with additional sales offices in Florida, Illinois and Missouri. The leading international supplier of quality seafood products and service strives to assure the success of our customers thorough total customer satisfaction. We believe our worldwide suppliers are an extension of our capabilities and we will strive to develop strategic partnerships to meet our customers’ needs. Through superior products and service, we will continue to increase our market share and maintain target profitability to ensure financial stability for the organization. Southstream Seafoods promotes the welfare of its employees and their families by providing opportunities for growth and a share in the achievements of the company. We will continue to foster an environment that contributes to the success of the individuals who make up Southstream Seafoods.